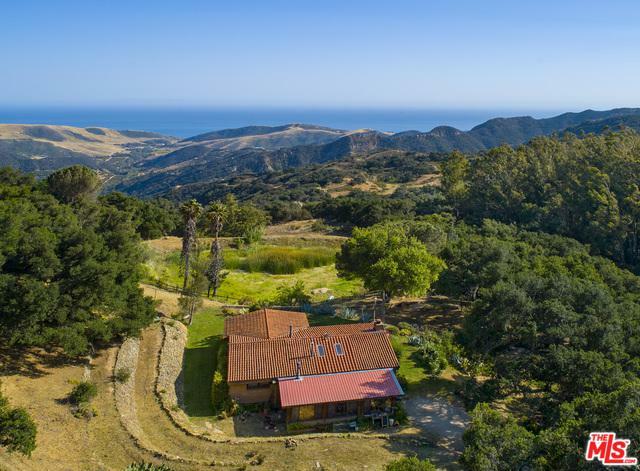 Wonderfull 81 acres secluded in Refugio Canyon. There are stunning ocean and island views. Surrounded on three sides by the old Tajiguas Ranch, and to the North by the Dos Vistas Ranch. It is at the head waters of the Tajiguas Creek. 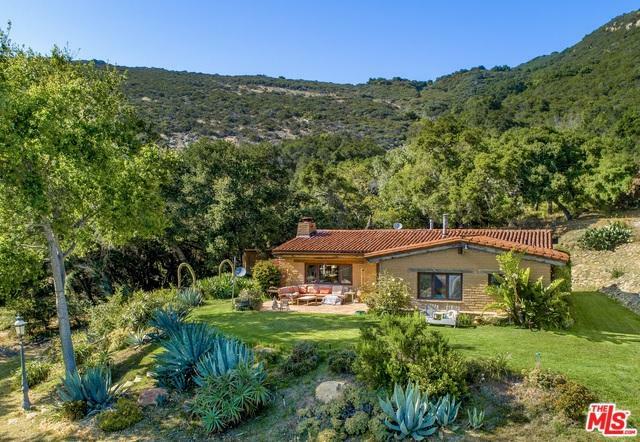 Home to an unbelievable assortment of wild life, just like a private wildlife preserve. The main residence is an authentic structural adobe. Sixteen inch walls, heavy 6x8 beams, Satillo tile floors, Duel pane pella windows, two wood stoves and a large fireplace. There are three bedrooms, two baths, one with a tub. Built by hand by the original owner over an eight year period, it is fully permitted hideaway. 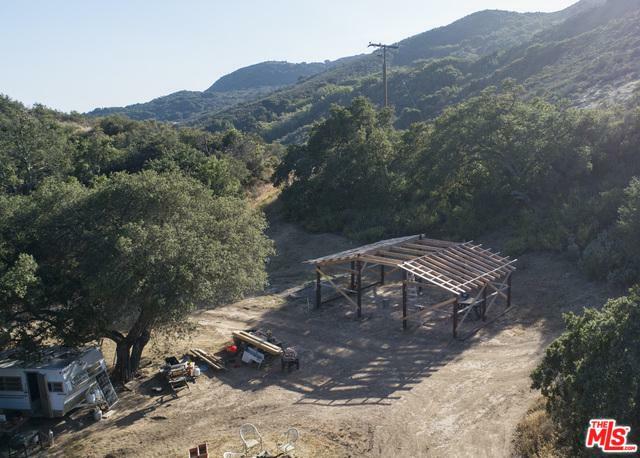 The adjoining 40 acre parcel, could support an additional family compound. An Accessory structure is currently being built on this parcel. Listing provided courtesy of Kerry Mormann of Berkshire Hathaway Homeservices California Properties.